Here at The Curious Mummy HQ, we are shining the spot light on one of my favourite Mumpreneurs; Lucinda Hutton from Nurturing Mums. Lucinda shares her top tips on starting a business and finding a good work-home life balance. I’m a North Londoner born and bred and mum of a gorgeous 2 year old with another baby on the way! I’m a lawyer by trade and starting running Nurturing Mums almost 2 years ago. Tell us about Nurturing Mums and what gave you the idea to start? We run 5 week postnatal courses across 8 parts of London where new mums bring their babies (0-9m) and get expert, practical, supportive advice on: sleep, weaning, baby development & first aid. It’s also a great opportunity to make local mama friends and have a regular date in the diary to get out of the house in those early days. When I first had my baby I was lucky to have friends from my antenatal course but it was like the blind leading the blind in terms of practical advice. What may work for one baby doesn’t necessarily work for yours and I didn’t have much time to swat up on baby books. I thought there was a real place for non-judgmental & practical support for new mums and we’ve gone from 1 location to 8 in just under 2 years… We also have an online store full of awesome goodies for mums, mums-to-be and babies packed with mum-boss, independent led brands. My husband goes to work at 6am so it’s just me and the toddler for breakfast, to get dressed and to get out to nursery (where he is 4 mornings a week). Between 8.30 and 12.30 are my golden hours to work. One great thing about running your own business is that no two days are ever the same. I catch up on social media and am in charge of our daily posts, I may be running or attending a course session, writing blog posts on content for other great businesses as well as attending meetings with new and exciting brands. I take my toddler home to nap where I try and catch up on things around the house, do some more work or put my feet up. My afternoons are spent on play dates or chilling out with my toddler. The flexibility. Ultimately, I’m my own boss and although working for yourself is incredibly challenging, it means I don’t have to justify myself or my actions to anyone else and my time is my own, so I don’t have to miss out on things I don’t want to. Meet Teddy. Teddy is Lucinda’s adorable little boy. Is Teddy trying to tell us something in this picture? I think it takes discipline – you need to allocate separate time to working and being a mum – it’s really easy to blur the lines and feel like you’re a slave to your iphone, which defeats the point of trying to have some balance between being a mum and working too. I think it can also be lonely working for yourself so creating a supportive network around you with other brands you identify with and learn from will only help you grow as a mum boss too! Having childcare makes a massive difference. I think anyone running their own business feels like they work A LOT – probably more than they did in their ‘past life’ so just trying to create space between the two, although a challenge – allows me to feel like I’m doing both adequately… sometimes! My husband’s early start also means an early finish, so I often sneak out whilst he does bath and bedtime to go out and see friends or have a bath, go to a yoga class or just hide in the bedroom and watch Netflix to get some time to myself…. 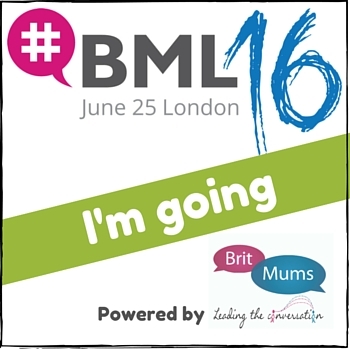 What are your top tips for starting a business/What are your tops for budding Mumprenuers? Do you research – know your competition and know why you are different / better before you take the plunge. Build a supportive network – both online and in person, networking and creating a girl gang is invaluable. Have confidence. It’s easy to fall into the trap of describing what we do and who we are based on our past experience – get used to talking about your new business endeavour to anyone and everyone! I was fortunate enough to get to know Lucinda when I attended Nurturing Mums. I loved the course so much, I decided to include it on my blog. To read my review click here.